The team leader has a basic first aid kit with band aids, peroxide, etc. Volunteers can use whatever supplies are needed. If you have any injuries that you feel are an emergency or life threatening, you should dial 911 immediately. Your team leader will have a cell phone available. If you have an injury that is not life threatening, but which you believe requires follow-up care, you should proceed as you normally would to handle any other injury you might incur as a private citizen. You may need to go to urgent care or make an appointment to see your own doctor. 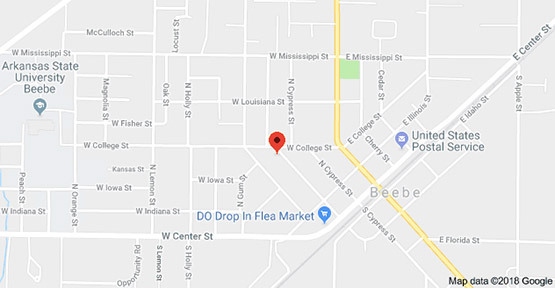 Arranging or paying for medical services or attention is not the responsibility of the City of Beebe, its agents or employees, or any other persons associated with the Beebe Community Cleanup Day. All volunteers must adhere to the safety rules, behave in an orderly fashion, and refrain from using foul language. Volunteers must wear closed toe, flat heeled shoes. No sandals, flip flops or clogs. Volunteers without closed toe shoes cannot participate. Volunteers must wear gloves when picking up litter and small trash. Volunteers should NOT pick up large, bulky items. If a volunteer finds appliances, TV’s, furniture or other large item, notify your team leader who will make a note of the location. These items can be flagged for follow up at a later date by the City. Do NOT handle any hazardous waste or potentially hazardous materials or items—including motor oil, gasoline, batteries, syringes, guns, or metal or plastic containers that smell or appear to contain noxious material, etc. If you do not know what something is, do not handle it. The location of any hazardous materials should be noted and reported to your team leader. Be aware of spiders and snakes. DO NOT put hands or feet into bushes, under debris, into tires, or any other places that may harbor snakes or spiders. If you encounter a snake, MOVE AWAY IMMEDIATELY. LEAVE THE AREA. DO NOT POKE AT THE SNAKE. Notify your team leader immediately and leave the area. Thank you for helping us to keep Beebe beautiful! All adult volunteers (aged 18 and older) must complete and sign the waiver form. All juvenile volunteers (aged 17 and younger) must complete and sign the waiver form and have a parent/guardian sign the waiver form as well. Middle school volunteers (aged 14 and younger) must have a parent/guardian accompany them on the service project. High School volunteers (aged 15 through 17) may participate without a parent/guardian present, but must have the parent/guardian sign the waiver, and must be part of a school/civic group with adult supervision. I, , agree to be a volunteer in the City of Beebe Community Cleanup Program and commit to the tasks assigned to me. I understand that it is my responsibility to adhere to, and comply with, the policies and procedures as indicated by the event coordinators. I agree to release and discharge the City of Beebe, its agents and employees, and all other persons associated with the Beebe Community Cleanup Day from liability for any injuries, accidents, or physical conditions that the above dependent may suffer during the event, claims, costs, and damages, including but not limited to those arising out of or related to my participation as a Community Cleanup Volunteer. I grant full permission for Beebe Community Cleanup Day to use the above dependent’s name, likeness, voice, photographs, videotapes, or quotations from me in accounts, promotions and activities, in any medium, related to any Beebe Community Cleanup Day events. I fully understand this agreement and I am aware that this is a release of liability between the City of Beebe, the Beebe Community Cleanup Day and myself. I, , agree to be a volunteer in the City of Beebe Community Cleanup Program and commit to the tasks assigned to me. I understand that it is my responsibility to adhere to, and comply with, the policies and procedures as indicated by the event coordinators. I agree to release and discharge the City of Beebe, its agents and employees, and all other persons associated with the Beebe Community Cleanup Day from liability for any injuries, accidents, or physical conditions that I may suffer during the event, claims, costs, and damages, including but not limited to those arising out of or related to my participation as a Community Cleanup Volunteer. I grant full permission for Beebe Community Cleanup Day to use my name, likeness, voice, photographs, videotapes, or quotations from me in accounts, promotions and activities, in any medium, related to any Beebe Community Cleanup Day events. I fully understand this agreement and I am aware that this is a release of liability between the City of Beebe, the Beebe Community Cleanup Day and myself.